What a Great Support Group! 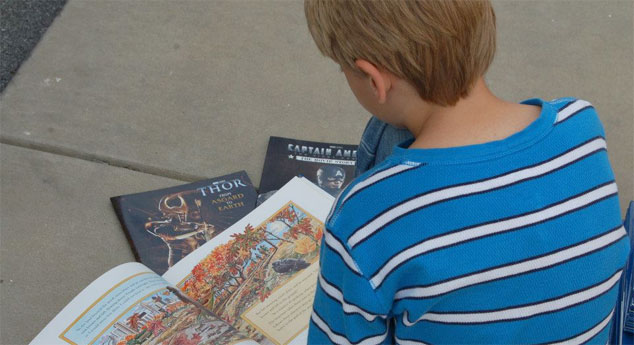 READ 20 is a public-private partnership whose mission is to create a community of readers by promoting the importance of reading with children at least 20 minutes a day or more. Read20 nurtures a passion for reading with children through strategic interventions with parents, grandparents, early childhood education professionals, and community leaders. In addition, Read 20’s efforts have had a significant impact on approximately 40% Hamilton County’s birth – 5year old population who have access to early childhood education. Read 20 aims to cultivate a love of reading through building knowledge, shaping attitudes and influencing Hamilton County’s parents, early childhood professionals, community members, and child care providers of the importance of reading to result in their reading with children for at least 20 minutes a day or more. For the past 10 years, Read20 has been focused on closing the literacy gap and strengthening early childhood literacy. Evidence from data and research demonstrates that low income families often do not have access to books or know how to access the road to literacy. We know that literacy, and in particular reading at grade level, is the key to educational success. Learn about our work and our results, and join us by volunteering!